I have just come across your site by accident and found it very interesting as I come from a mining background. I came to Nottingham in 1962 my father was a Durham Miner and many of them came here to the Nottingham coal fields in the early 60's. He worked at Gedling colliery till 1983 retiring due to a coal mining injury. 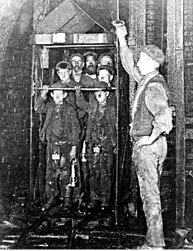 All my ancestors were coalminers in the north east, another reason for us to come to Nottingham was that we would escape the hard and often dangerous life of a coalminer. The main choices in the Northeast in the 50's and 60's, were the armed forces, the pits or the shipyards, thankfully all us 5 brothers never continued the tradition. In the late 50's when I was a young boy, we all worried, would father come home hurt. I remember seeing the navy blue NCB ambulance on more than 1 occasion at the bottom of our back gate, with 2 men carrying my father up the path on a stretcher to the house. I remember one especially it was caused by a roof fall and he still has the blue scars on his back today. I also remember that many times he only wore a vest and navy blue shorts as he would work waist deep in water many times. They must have been terrible conditions to work with, many a time do I remember the pain from stiff joints and swollen hands and the large boils that used to appear on his knees, they always reminded me of volcanoes ready to erupt, they were so large and very painful. My mother used to make a soap and sugar poultice and bandage them everyday to draw out the poison. These are some of the memories that I will never forget. 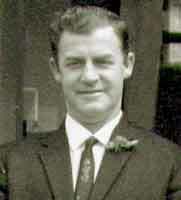 looked in the early 60's when he worked at Wardley Colliery. 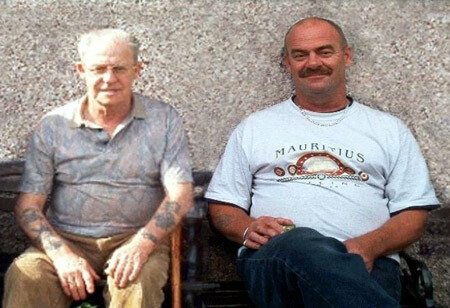 Did John Lumsdon Know My Dad?